COPYRIGHT EXPRESS & STAR. PIC - PATRICK MULVANEY. 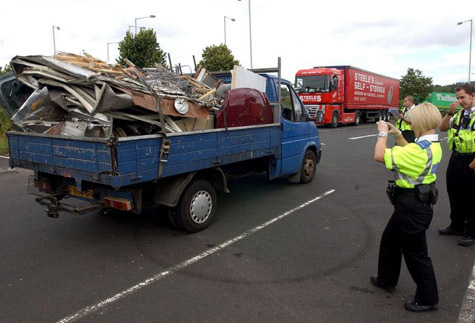 21/8/2008 Police carry out operation "Paysetter" sting to investigate possible metal thefts at the Cinder Bank Island, on the Dudley bypass.